Translations of the untranslatable abound: probably close to a hundred in English alone by now, with new ones appearing all the time. Of course, the Quran should be read in Arabic, for many reasons: according to the Prophet himself, for the 'magic' of the sounds and the power of recitation of the poetic language, perhaps simply as a mountain to be climbed for the faithful. All prayers and recitations during services must be in Arabic to be valid. But fewer than 20 percent of Muslims speak Arabic, so most Muslims can study the text only in translation. The process began soon after Mohammed died: the first being of the Fatiha into Persian by Salman Al-Farasi, one of the Prophet's dearest companions. The first Western translation -- into Latin in 1143 by the English monk Robert of Ketton -- was a belated recognition by the then crusading Catholic church of the need to understand the enemy, and was intended as a refutation. It was published on the new printing press in 1543 with an introduction by Martin Luther. By the 18th c there was an increase in Western translations of the Quran, reflecting the ascendancy of the West in the dunya and its need to penetrate, understand, convert and/or conquer its great rival. Alexander Ross, chaplain to King Charles I, offered the first English version in 1649, The Alcoran of Mahomet translated out of Arabique into French, by the Sieur Du Ryer...And newly Englished, for the satisfaction for all that desire to look into the Turkish vanities, "that so viewing thine enemies in their full body, thou must the better prepare to encounter his Alcoran." George Sale, a lawyer and corrector of the Society to Promote Christian Knowledge's Arabic New Testament translation, brought out The Al Koran of Mohammed in 1734, which until quite recently was the most widely available English translation. Sale based his translation on the 1698 Latin translation by Maracci, the confessor of Pope Innocent XI. 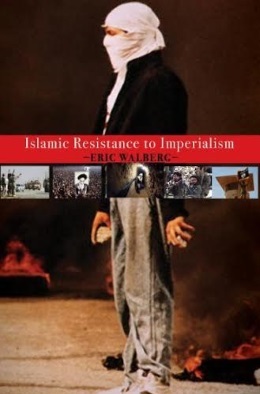 His exhaustive Preliminary Discourse claims the work is a "manifest forgery", his interest to "effectually expose the imposture" with rules for "the conversion of Mohammedans". Though there are inaccuracies in the translation and an obvious bias on his part, he grudgingly showed admiration for Islam and provided a respectful rendition. It was republished in 1975 and is still available free on the Internet. By the 19th c, as the grip of Christianity weakened in the West, a new appreciation of Islam took root. Whereas Dante assigned Mohammed to the depths of hell, Goethe in East- West Divan writes: "the Koran, at first disgusting us each time afresh, it soon attracts, astounds and in the end enforces our reverence. This book will go on exercising, through all ages, a most potent influence." Edward Ross's 1877 preface to a new edition of Sale's translation shows the advance in the understanding of Islam in the century and a half since Sale: "What was good in Muhammadanism was entirely ignored, and what was not good, in the eyes of Europe, was exaggerated or misinterpreted. The central doctrine preached by Muhammad to his contemporaries in Arabia, who worshipped the Stars, and the Turks, who had no particular worship, was the unity of God, and that the simplicity of his creed was probably a more potent factor in the spread of Islam than the sword of the Ghazis. Through all the vicissitudes of thirteen hundred years the Koran has remained the sacred book of all the Turks and Persians and of nearly a quarter of the population of India. 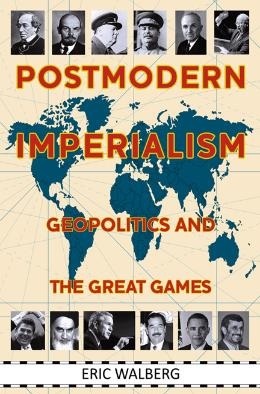 Surely such a book as this deserves to be widely read in the West, more especially in these days when space and time have been almost annihilated by modern invention, and when public interest embraces the whole world." Unsympathetic translations persisted, however. Reverend J Rodwell produced a translation in 1861, inventing the so-called chronological sura order and requesting his missionaries to critique the Prophet's revelation as resulting from "self-deception, catalepsy, or hallucination." As late as 1937, University of Edinburgh Orientalist Richard Bell produced a translation still attempting to rearrange the text chronologically and arguing that the Quran was "actually written by Muhammad himself". Because of the increasing academic interest in Islam, there was a blossoming of English translations among scholars in the 20th c, the most notably being The Koran Interpreted by Cambridge Arabic scholar AJ Arberry in 1957, probably still the best by a non-Muslim in terms of both its approach and quality, Arberry being the first non-Muslim to acknowledge the orthodox Muslim view that the Quran cannot be translated, but only interpreted. NJ Dawood (Daud), an Iraqi Jew, produced a translation in 1956 which is still available in a Penguin edition and is perhaps the most widely circulated non-Muslim English translation. The author's bias against Islam is readily observable in the introduction and he adopted an unusual sura order. But Muslim scholars always maintained that the only valid translation should be by a Muslim who is fluent in both Arabic and the language of translation. While it was Christian missionaries who spearheaded translations of the Quran, followed by academics, Islam also encourages conversion, and the increasing challenge of Christian missionaries around the world naturally spurred Muslims into launching their own efforts to make the sacred text more accessible to all. Indian Muslims were the first from within the faith to translate the Quran into English. All wrote at a time of British colonialism and intense missionary activity. In the introduction to his 1912 translation (the first into English by a Muslim), Mirza Dehlawi writes he was motivated consciously by a desire to give "a complete and exhaustive reply to the manifold criticisms of the Koran by various Christian authors such as Drs Sale, Rodwell, and Sir W Muir." This early 20th c reaction spurred a lasting translation trend. In 1917, Muhammad Ali published his translation which was adopted by the Nation of Islam, both under the stewardship of Elijah Muhammad and current leader Louis Farrakhan. Ali's biases show through, however. Consistent with his Lahori-Ahmadi creed, he sought to eschew any reference to miracles; so, for instance, God's command to Moses "Strike the rock with your staff" was changed to "March on to the rock with your staff". The Quran makes frequent mention of jinn (spirits), from which the English word genie is derived, whom Ali curiously argues are the Jews and Christians. He also denies Jesus's virgin birth. Muhammad Marmaduke William Pickthall, an English intellectual, son of an Anglican clergyman, novelist, traveller, and educator, converted to Islam in 1917 and published his translation in London in 1930. He was the first Western translator to insist that the Quran was untranslatable but that the general meaning of the text could still be conveyed to English speakers. His work is now criticised for using archaic, if elegant, prose, though it is nonetheless popular and still available as a Penguin paperback. It provides scant explanatory notes and background information, restricting its usefulness for an uninitiated reader. The most popular among the seven available at Amazon along with Pickthall's and Hilali's (see below) is Abdullah Yusuf Ali's The Holy Quran: Translation and Commentary, published in Lahore in 1937. He sought to convey the music and richness of the Arabic with poetic English versification, but is criticised as a Sufi who rejects the literal concepts of Heaven, Hell and the Jinn, and even condones interest. In 1989, Saudi Arabia's Ar-Rajhi banking company financed the US-based Amana Corporation's project to revise the Yusuf Ali translation to reflect an interpretation more in line with Wahhabi thought. Ar-Rahji offered the resulting version free to mosques, schools, and libraries throughout the world. The footnoted commentary about Jews raised hackles in Zionist circles, and in April 2002 the Los Angeles school district banned its use at local schools; however, Yusuf Ali's translation has not suffered and is still #8321 at Amazon. Whatever their respective merits, the enduring popularity of Yusuf Ali and Pickthall is largely due to their extensive distribution in Pakistan, India and Indonesia, where copyright laws are ignored and cheap editions are snapped up by the huge English-reading Muslim population. Muhammad Taqiyuddin Al-Hilali and Muhammad Muhsin Khan published their Explanatory English Translation of the Holy Quran: A Summarized Version of Ibn Kathir Supplemented by At-Tabari with Comments from Sahih al-Bukhari in Chicago in 1977. Born in Morocco, Hilali taught at Baghdad University and the Islamic University in Medina. Now the most widely disseminated Quran in Islamic bookstores and Sunni mosques throughout the English-speaking world, again with Saudi backing, this new translation is meant to replace the Yusuf Ali edition and comes with a seal of approval from both the University of Medina and the Saudi Dar al-Ifta. 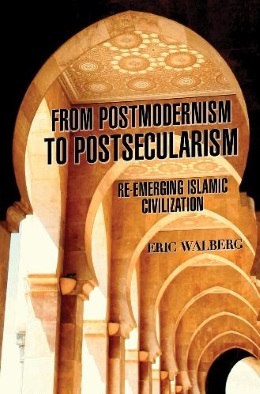 It is highly criticised at Amazon and in US academic circles for using the commentaries of Ibn Kathir and Al-Bukhari who Mohammed Khaleel dismisses in the tendentious Middle East Quarterly (Spring 2005) as being "medievalists who knew nothing of modern concepts of pluralism". Khaleel blasts Hilali's translation as "a supremacist Muslim, anti- Semitic, anti-Christian polemic" and Amazon gives prominence to similar scathing reviews. Sayyid Abul Ali Maududi, founder of the Islamic Party (Jamaat Islami) in Pakistan, published The Meaning of the Quran in Lahore in 1967. In advice to readers Maududi writes: "The Quran was not revealed as a complete book at one and the same time; nor did Allah hand over a written copy of it to Muhammad (peace be upon him) at the very beginning of his mission and command him to publish it and invite people to adopt a particular way of life. Moreover, it is not a literary work of the common conventional type that develops its central theme in a logical order; nor does it conform to the style of such a work." Maududi, like Asad, provided introductions to each sura with historical background and explanation of the text which is very useful and is available online at the University of Southern California website. The Internet has transformed Quranic studies, allowing you to pick from among perhaps 50 translations, with dozens available free online, including several heretical versions, which are interesting as examples of the challenges that Islam faces in the 21st c. Rashad Khalifa's The Quran: The Final Scripture, published in (of all places) Tucson in 1978 is one such. Khalifa was an Egyptian chemist who emigrated to Texas, where he undertook an extensive computer analysis of the Quran beginning in 1968, claiming that he proved the divine origins of the Quran via the number 19. He was stabbed to death in a gruesome unsolved murder in 1990. His life and death are shrouded in mystery and his writings and translation of the Quran, completely rejecting the hadith (traditions associated with the Prophet) and sunnah (actions attributed to the Prophet), have developed a cult following. Another just published, by Edip Yuksel, Layth Saleh al-Shaiban and Martha Schulte-Nafeh, The Quran: A Reformist Translation, also rejects the hadith, sunnah and tafsir (interpretation), dismissing them -- Khaleel at the Middle East Quarterly would no doubt agree -- as "ancient scholarly interpretations rooted in patriarchal hierarchies. It is time to remove the accumulated layers of man-made dogmas and traditions that have attached themselves to the text." 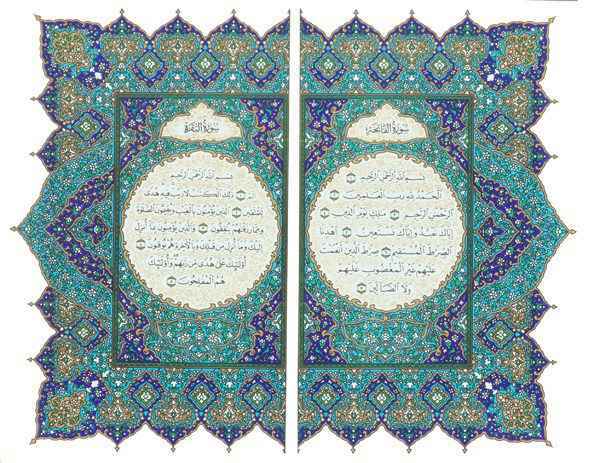 Though expensive and large format, many consider the 1997 Saheeh International bilingual The Quran (Arabic Text With Corresponding English Meaning) to be the best choice in English now. According to Musa Cerantonio, it "keeps the literalism of the Khan-Hilaly translation without the messy footnotes and ubiquitous parentheses that make it an uncomfortable read. Its also notable as being the work of a female convert from the US." Finally, Laleh Bakhtiar, a Chicago Sufi convert to Islam, published The Sublime Koran this year, billed as the first translation by an American woman and providing a woman's point of view. She questions the conventional meanings of some of the Koranic concepts; in particular, in 4:34 "daraba" is usually translated as "to beat", supposedly condoning husbands beating recalcitrant wives, which Bakhtiar translates as "to go away". As a result of the availibitiy of multiple translations and commentaries on the Internet and the revolution that blogging has brought about, there is a rising tension between the traditional guardians of Muslim orthodoxy and a new crop of secular educated Muslims. But that is another story. Suffice it to say that these revisionist translations, rejecting the accumulated wisdom of centuries as outmoded, would mean dispensing with the works of the great Islamic philosophers Al-Bukhari, Ibn Sina, Al-Farabi, Ibn Rushd, Ibn Arabi, and Omar Khayyam, to name but a few. As Maududi argued, to strip the Quran of its historical context is wrong; but to strip it of its history is just as wrong. The hadith, sunnah and tafsir are part of any educated Muslim's heritage, and can only enrich one's reading of the Quran. So which to choose from? This depends on your purpose. Downloading from the Internet is no substitute to having your own personal copy. And translations are only interpretations, so if you want to have the definitive experience in reading the text, you must read it in Arabic. In that case, your choice would be a bilingual edition where the English is as literal as possible, striving to provide a neutral, accurate translation with good tafsir (however patriarchal). In fact, a literary translation gets in the way of the Arabic novice's efforts. The Hilali text is easily available and adequate for this purpose, provided free from the Conveying Islamic Message Society (CIMS) in Alexandria in a user-friendly format in 30 durable paperback modules (one for each day of Ramadan), making it possible to read and carry a section comfortably. It has the extensive footnotes of important hadith and tafsir which offend the likes of Khaleel at the Middle East Quarterly, but we are all adults and can think for ourselves. CIMS does a fine service for non-Arabic speakers, providing many books about Islam free in many languages. It is a delight to get a post with several books from them -- somehow it seems wrong to pay money for one's spiritual sustenance. But it is possible to use Arberry, Pickthall or many others as reference texts for your reading of the Arabic original. Though not so readily available, the Saheeh is the improved version of the Hilali, and as such, the best of all. If you want a literary translation in English that aims to capture the poetry, both rhyme as well as metre, of the Arabic there are several works that attempt this in addition to Yusuf Ali. Fazlollah Nikayin published Quran, A Poetic Translation from the Original in 1999 though it is now out of print. The Meaning of the Holy Koran Translated into English by Mohamed Hamed and Ahmad Hamid, completed in 2004 and awaiting publication in 2007, uses rhyme and metre to imitate the spellbinding musical quality of the Arabic text (see caption). An Egyptian doctor, Ahmad began the translation in 1933 and it was completed by his son Mohamed, also a doctor. If you want to memorise passages in English, this translation will be useful, as poetry is easier to memorise than prose. Mohamed argues that "the Arabic language is essentially a bicameral language, i.e., a language addressing two chambers of cognition simultaneously, allegorical and rational, so that a native Arabic translator has a distinct advantage over an English speaker, and a poetic text helps the reader to get closer to the experience of reading the text in Arabic." We have no final answer to the original question: Is the sacredness of the Quran translatable? Structuralists argue that language itself is a human attribute, and question to what extent something fixed in language can itself be sacred. This brings to mind the Mutazlities in the 8th--10th cc, who argued that the Quran was not eternal, but was created by Allah to express in human language his eternal truths. The structuralists go so far as to ask whether this total focus on the reading of the Quran (the literal translation of Quran is "what is read"), where each word is the truth and cannot be challenged, is itself not akin to idol worship. In the Sufi tradition, the only truth is in heaven -- anything contaminated by the dunya is a corruption. So just as the previous sacred texts, the Torah and the Gospels, are criticised by Muslims as corrupted, our reading of the Quran is inevitably corrupted by our limitations as humans living in history, with our various traditions and conceptions of the world muddying our sacred experience. Texts evolve as humans and human societies evolve, whereas the written word is fixed in a false worldly time (not heavenly eternal time). While Islam has the advantage over Christianity and Judaism of being more focussed on the direct connection between Allah and man, some argue that the highly ritualised text- centric orthodox Islam can act as a stumbling block in this -- the real -- religious experience. Sufis are more laid back about the rituals of Islam, though no less concerned with the religious experience itself. Ibn Arabi urged followers when they pray to stay awake till they achieved a dream-waking state where a glimpse of paradise could be found. Though not a Sufi, Ibn Rushd argued in the 12th c that the prayers and rituals are marginal to charity, the monotheistic vow itself and pilgrimage. So to focus totally on finding the perfect translation is missing the spiritual point. If one is focused on the spiritual experience, just about any translation -- by Muslim or non-Muslim -- will do if used intelligently and with caution. Then there is controversy between the monotheisms as to what constitutes a sacred text. If only Jews and Christians could agree that Jesus and Mohammed were prophets, a lot of problems would be solved in an instant. But even then, Muslims believe that the earlier revelations of prophets -- the Torah and the preaching of Jesus -- were neglected or corrupted by the Jews and Christians and have been replaced by God's final and perfect revelation, the Quran. Jews and Christians counter that the historical biblical archaeological record, in particular the Dead Sea Scrolls, refutes this assertion, though it is unlikely this issue will ever be resolved. However if the proof is in the pudding, there is little doubt that the Quran wins hands down. Any translation, any text for that matter, will inevitably reflect the limitations of both transmitter, writer, translator and/or reader in pursuit of the transcendental experience itself, which is beyond any words and any language. Just making a more approachable or enjoyable version is no guarantee that the reader will achieve enlightenment. And are ever newer and newer translations really necessary? But what more noble cause can a spiritually motivated person dedicate his/her life and intellect to? THE QURAN presents various problems for the reader, especially a reader unfamiliar with Islam and Islamic history. The text assumes familiarity with many events from Jewish and Christian scriptures, retelling some of these events in partial and distinctive ways, and referring obliquely to others. It rarely offers detailed accounts of historical events; the emphasis is typically on the moral significance of an event, rather than its narrative sequence. The revelation of the Quran began and went hand in hand with the preaching of the message over a span of 23 years. The different parts of the Quran were revealed step by step according to the many changing requirements of the Islamic movement during these stages. It therefore could not possibly possess the kind of coherence and systematic sequence expected of, say, a scholarly treatise or a tightly organised programme. Moreover, the various fragments of the Quran, which were revealed in harmony with the growth of the Islamic movement, were not published in the form of written treatises, but were spread orally. Their style, therefore, bears an oratorical flavor rather than the character of a literary composition. This explains the many repetitions. The interests of a message and a movement demand that during a particular stage emphasis should be placed only on those subjects which are appropriate at that stage, to the exclusion of matters pertaining to later stages. As a result, certain subjects may require continual emphasis for months or even years. Interestingly, this can just as well apply to converts today, who may find the full programme of Islam overwhelming at first. When the Prophet's mission was completed, the chronological sequence of the various parts of the Quran could in no way be suitable to the changed situation. What was now required was a different sequence in tune with the changed context resulting from the completion of the mission. The order settled on was partly pragmatic -- by size (from long to short), partly by theme (Islamic programme, accounts of prophets, end-times) and period of revelation (Medinah or Mecca). There is also the structuralist and post-structuralist debate about the structure and significance of the Quran. Norman O Brown observes that the seeming "disorganisation" of Quranic literary expression -- its scattered or fragmented mode of composition -- is a literary device capable of delivering "profound effects, as if the intensity of the prophetic message were shattering the vehicle of human language in which it was being communicated." Michael Sells, in Approaching the Quran, also argues that the repetition in the Quran is a valuable literary device: "The values presented in the very early Meccan revelations are repeated throughout the hymnic suras. There is a sense of directness, of intimacy, as if the hearer were being asked repeatedly a simple question: What will be of value at the end of a human life?"